After sprints and individual races of the FIS OPA Continental Cup in Planica the Cross-Country athletes returned to the tracks of the Nordic center for the mass start competitions in free technique. The first victory of the day came by the hands of Barbora Havlickova of Czech Republic in the 10-kilometre U20 race. Just a few seconds after her, the Germans Lisa Lohmann and Amelie Hofmann crossed the finish line and took the second and third place. Ladies 15-kilometre competition followed soon after. It was a very tight race since 5 athletes finished in 0.7 seconds. 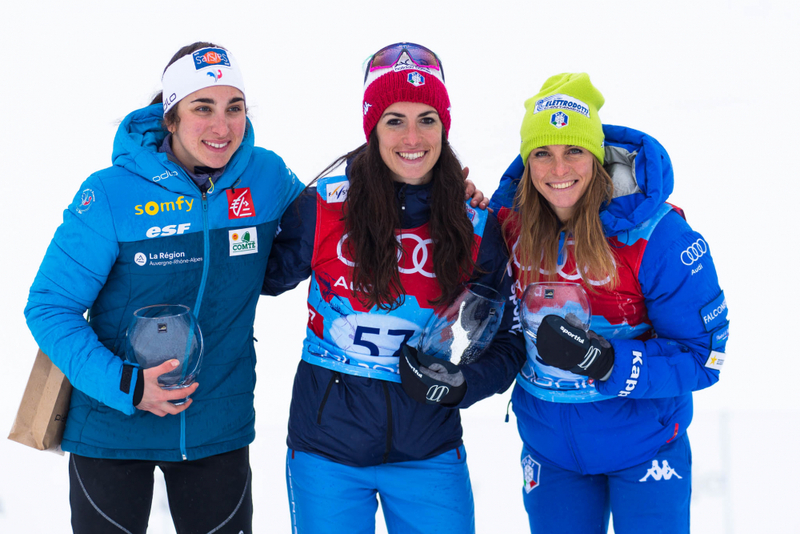 Italian Ilaria Debertolis was the fastest, followed by Laura Chamiot Maitral of France and Elisa Brocard also of Italy. The same distance was then conquered by U20 male athletes. For the third day in a row Frenchman Jules Chappaz was the fastest, beating Friedrich Moch of Germany by 2.4 seconds. Czech Vladimir Kozlovsky finished in third place. Last decision of the weekend came after a 20-kilometre race. The longest trial was won by Austria’s Max Hauke, Dominik Bury from Poland reached the finish line 6.8 seconds behind and another Austrian Bernhard Tritscher finished in third place.